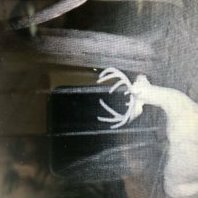 That one your probably onto something, that’s neighbors cam, he may or may not have let some fall out of the combine lol (his business not mine).. but the point of the story is let em grow and the bigger deer will show up. By the way the one in background was taken on my side of the hill last year..
Way to accuse, but your a bit off on that my friend, apology accepted. If he responds to you, tell him thanks from me. You know, for giving me a lesson on why there is a three inch rule for an antler. And that is how I know I’m looking at a buck. Fascinating! He (wilderness) hasn’t responded to me... I guess he realized wrong Forrest and definitely wrong tree he was barking at. 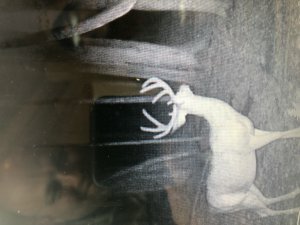 LIVE From The Woods 2018 - Lets hear stories and see some pictures! Sasquatch poached? And then molested a child because of a bait pile of corn? And it was all witnessed by a chicken flying a drone from a swimming pool deck with a high expensive fence? Got it! There’s professionals that get paid for conservation, I’ll let them do what they do. But since you asked here’s my answer: i hunt for my personal reasons, and because I’m allowed to do so. I love everything about deer, especially the way they look so if I’m going to hunt, I want to remember every second of that day by looking at the mount and telling the story.